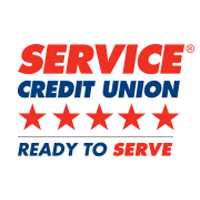 As a dynamic, member-owned, not-for-profit financial cooperative, Service Credit Union is dedicated to offering quality financial services and products. In 1957, the credit union was established to provide affordable credit to the Pease Air Force Base community. Now the largest credit union in New Hampshire, with over $3.4 billion in assets and 50 branch locations in New Hampshire, Massachusetts, North Dakota and Germany, we continue to serve our communities and provide a better future to our members. For more information, visit https://scu.com or call toll free 1-800-936-7730 in the U.S. and 00800-4728-2000 internationally. Follow us on Twitter at @ServiceCU, Instagram at @ServiceCreditUnion and Facebook at facebook.com/ServiceCreditUnion.